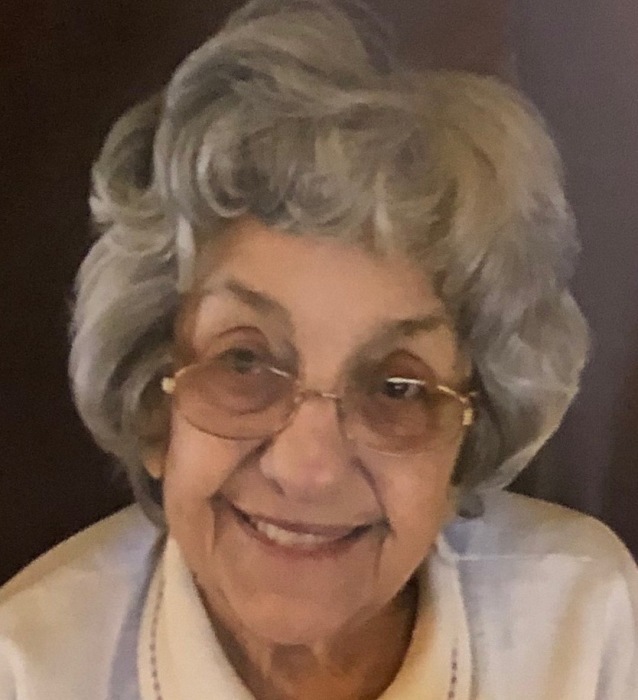 Obituary for Evelyn (Mazzotta) Ciuffoletti | Giunta-Bertucci Funeral Home Inc.
Evelyn M. Ciuffoletti, 97, of Ypsilanti, Mich., formerly of New Kensington, died Sunday, Feb. 3, 2019, at Superior Woods Assisted Living, Ypsilanti. She was born Oct. 2, 1921, in Arnold, daughter of the late James and Mary (Magaro) Mazzotta. She was the wife of the late Frank Ciuffoletti, with whom she was married to for 40 years. Besides her parents and husband, she was preceded by four brothers, Victor, Bob, Joe and Ralph Mazzotta, and two sisters, Edith Collodi and Rosella Gallo (her twin). She was a former member of Mt. St. Peter Roman Catholic Church, New Kensington, and worked as a teacher's aide for Taylor Schools for 25 years. She is survived by a son, David Lee (Marlene) Ciuffoletti; daughter, Colleen Ann (John) Savanna; five grandchildren, Jessica (George) Lemmon, Jonah Savanna, Steven (Allison) Savanna, Randi (Danny) Fardig and Michael (Khristanna) Ciuffoletti; and four great-grandchildren, Henry Lemmon, Frankie Lemmon, Bode Fardig and Max Fardig. She is also survived by her brother, Gene Mazzotta. Friends will be received from 10 a.m. until noon Thursday, at which time prayers of transfer will take place in the GIUNTA-BERTUCCI FUNERAL HOME INC., 1509 Fifth Ave., Arnold, PA 15068, JohnPaul Bertucci, owner/supervisor. A funeral Mass will follow at 12:30 p.m. in Mt. St. Peter Roman Catholic Church. Burial will be private. To leave an online condolence, visit www.giunta-bertucci.com.